Second World War propaganda poster by the artist H. Forster featuring a picture of a battleship in convoy below an impression of the Italian Peninsula. 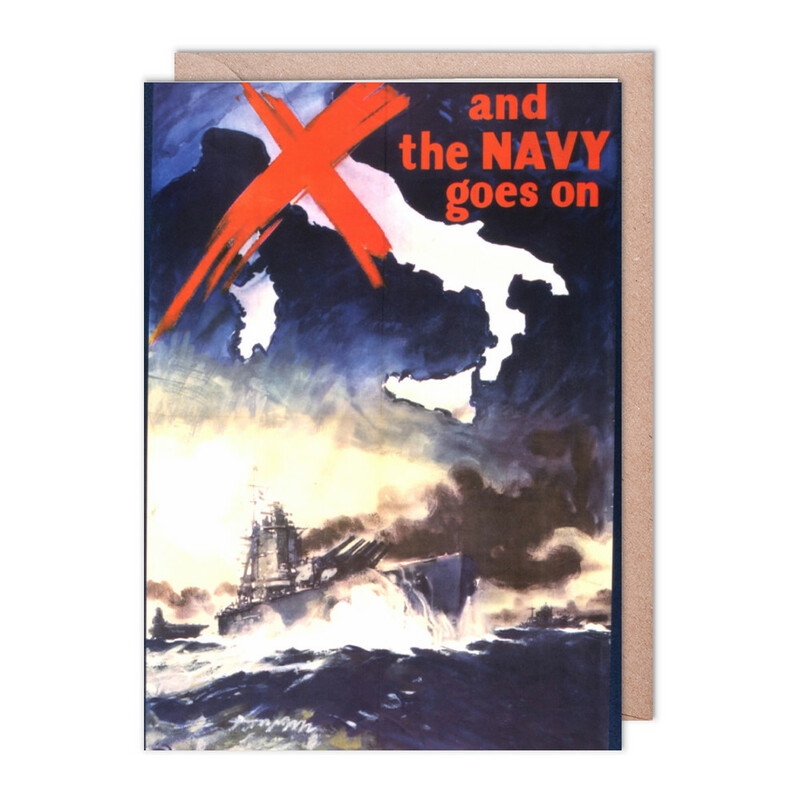 This And the Navy Goes On Greeting Card (x2) is created using state of the art, industry leading Digital printers. The result - a stunning reproduction at an affordable price.